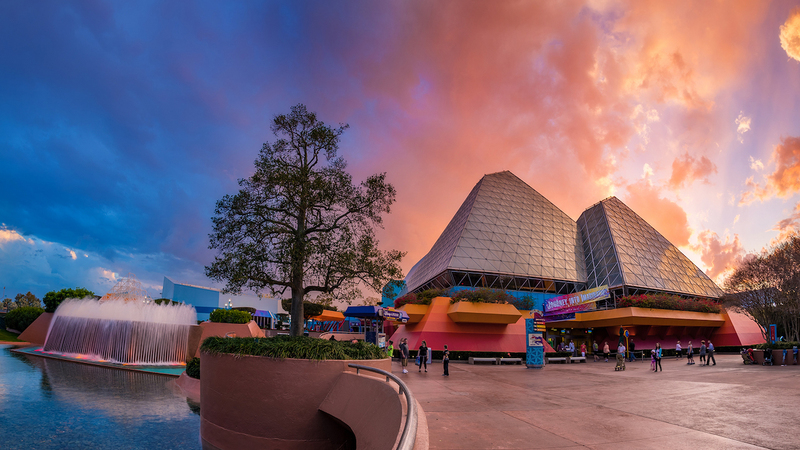 Designed to showcase all of the possibilities and promise of tomorrow Epcot’s Future World features immersive pavilions that aim to entertain and educate guests as they become active participants in the world of technology and innovation around them. The pavilions located in Future World West are designed to help guests fully unleash the power of imagination as well as learn how to better care for the diverse environments of the world that we live in. The Imagination pavilion encourages guests to open up to the creative side of their brain by showcasing how one little spark of inspiration can open up the potential of imagination. The Land pavilion showcases innovative way to care for and live off of the land in a clean and efficient manner. The Seas with Nemo and Friends pavilion houses an enormous aquarium that is home to all matter of sea life as it aims to enlighten guests on the wonders of the sea.